My wife recently received a handy little device from the Dell computer company. 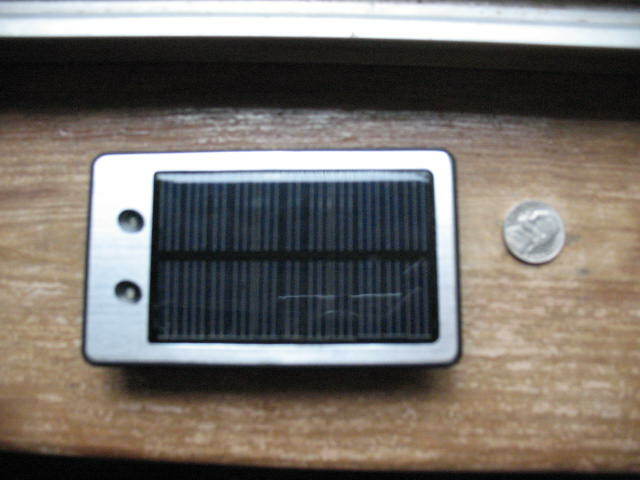 It is a portable solar panel that can be used to recharge cell phones, walkie-talkies, and other low voltage electronics. The interesting thing about this device is that you can set it out in the sun and charge it up, and then it will hold the charge for up to three months. At any time during that three months that you need to charge a cell phone, or other device; all you have to do is plug it in and let it charge. It takes about an hour to charge a cell phone, and according to the enclosed instructions you can charge about three cell phones before the device needs to be set out in the sun again to recharge. What a great thing. If you have this little beauty charged up, it doesn’t matter what the weather is outside; you have a source of power to recharge your phone, blackberry, or whatever. Pictured Below: Dell solar recharger, about the size of a cell phone. I went to Radio Shack and bought a cable and some connectors so that I could hook up my portable CB radios to this charger. It comes with a variety of connectors that will fit most of the common cell phones to recharge them. Of course there wasn’t one to fit an LG brand phone which is what my wife has. Not the first time that we have run into this kind of problem with her phone. It doesn’t fit any of the connectors on my hand cranked radio either (the generator on this radio can be used to recharge cell phones also). Even Radio Shack didn’t have fittings to go to her cell phone. The salesman there said that LG is a world of their own and that we would probably have to go to them to get a connector. Hey, here’s an idea; it’s about time to upgrade and we just won’t buy an LG phone. Anyhow, check out these little re-chargers. They could be real life savers in a disaster situation. I’ll bet a lot of hurricane Katrina victims wish that they had had one of these. 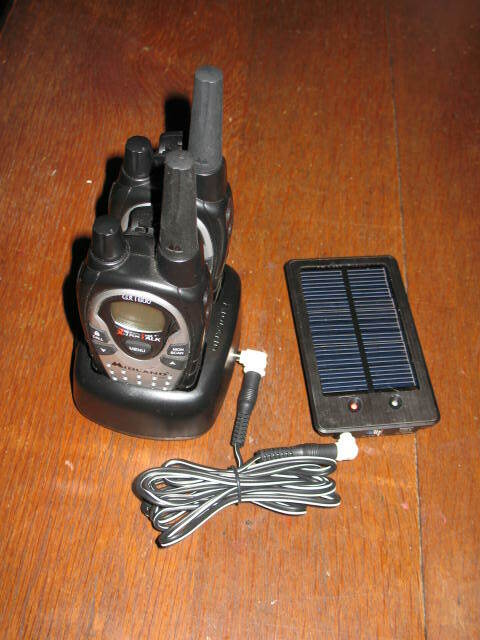 Pictured below: Dell solar recharger hooked up to my walkie-talkies. Amazon has several similar devises for sale although I didn’t see one exactly like the one I have.